McMinnville’s Historic Granary District and its wide, open space is home to many annual events such as Oregon Brews & BBQs, Flix on the Tin, The Walnut City Music Festival and more. These events enhance our community experience, bring traffic to local businesses, and most importantly benefit many nonprofit organizations such as Habitat for Humanity, The Henderson House, See’ya Later Foundation, and Willamette Valley Medical Center. The Granary District provides this space free of charge, and we are happy to! It’s one of the many ways we can give back to our community. Please join us along with many local businesses, organizations, friends and neighbors to build The Granary Amphitheater. 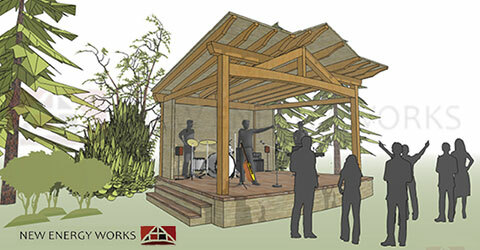 Replacing a rented stage with our timber frame Stage Amphitheater not only reduces expenses for our community’s nonprofit organizations, but also provides a permanent venue and structure befitting McMinnville’s standards of quality architecture and highly crafted construction. New Energy Works Timber Framers, Elk Creek Forest Products, Jeremy Rhodes Construction, Kamph Rock Crushing, Nice Electric, Bruce Kenny Architect, Mac Welding, Habitat for Humanity, The McMinnville Chamber of Commerce, Yamhill County Economic Development and numerous private citizens who stand ready for Raising Day—August 15, 2015 at 9am. 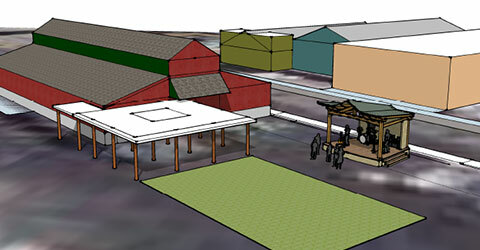 The Granary Amphitheater Community Build Project will create a permanent venue that benefits our community and adds to the beautification of McMinnville’s Historic Granary District, which has been slowly and lovingly renovated over the last 15 years. Please join us along with many local businesses, organizations, friends and neighbors to become a part of McMinnville’s history by bringing this Community Build Project to life. Any Donation Amount is Welcome and Appreciated! 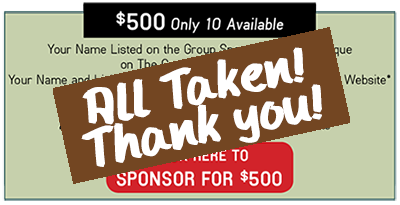 All funds raised will go exclusively to fund the building of the Granary Amphitheater. Funds raised in excess of the cost of the Stage Amphitheater will be allocated to fund not-for-profit community events held in the Granary District.